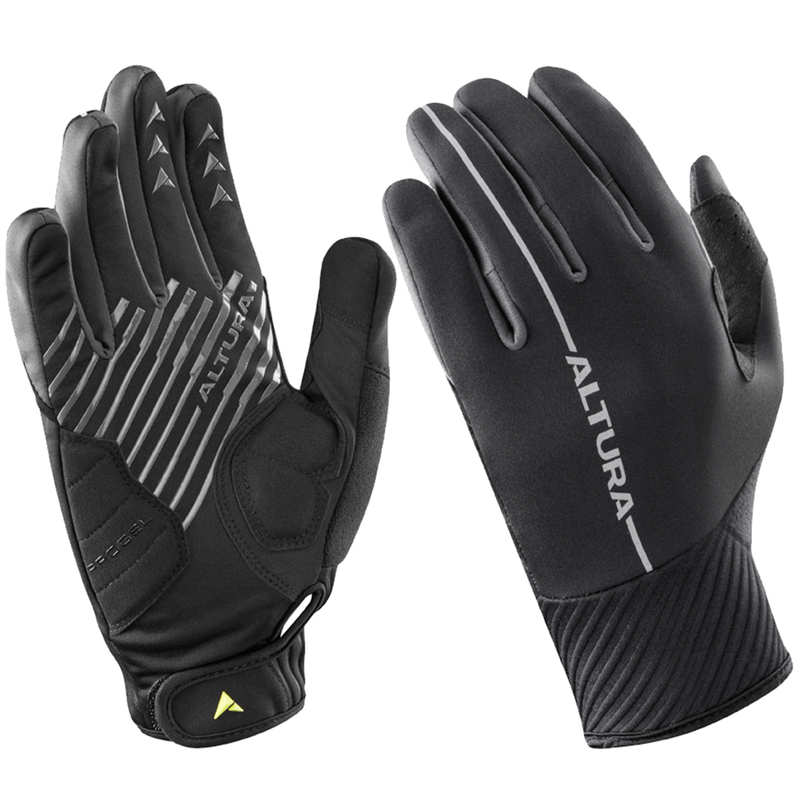 Altura's Progel 2 waterproof cycling gloves protect your hands from the elements during cold, wet rides and keep them warm and comfortable thanks to their clever construction and use of innovative fabrics. With an Altura Shield™ fabric outer the Progel 2 glove has been engineered to protect your hands from wind and rain in unpleasant riding conditions; this protective outer has been combined with an equally capable Altura Thermo™ insulating fabric inner to keep your hands warm and comfortable inside. Altura have included their Altura ProGel™ gel inserts in the palm to provide enhanced comfort when you’re holding on to the handle bars for long periods of time and have added reflective detailing to the glove to help enhance your visibility to other road users during low-light conditions. Great gloves for cold/wet weather - kept my hands dry and warm with comfortable padding. Great gloves. Warm and waterproof. Happy with my purchase!